With Thanksgiving next week, I wanted to share some table setting tips to help you prepare for the holidays. I wear many hats and am always involved in many projects. 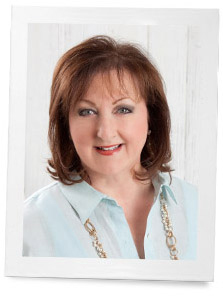 As editor-in-chief of Southern Lady magazine, I enjoy hearing readers’ questions and responding with solutions and tips. Getting everything ready for Turkey Day can sometimes be daunting, but these table setting tips will make it easier. Set your table the proper way and learn the differences between types of plates and dishes! For tablescape ideas, look to this Thanksgiving harvest setting also from Southern Lady magazine. Since Southern Lady launched in 1999, we have endeavored to serve as a resource for hospitality and gracious living. Part of that effort has been to hone basic principles we find more valuable than ever, especially since questions about the fundamentals of etiquette abound in our modern age. To help provide answers, we return to a favorite column from our inaugural issue: May I Ask You a Question? 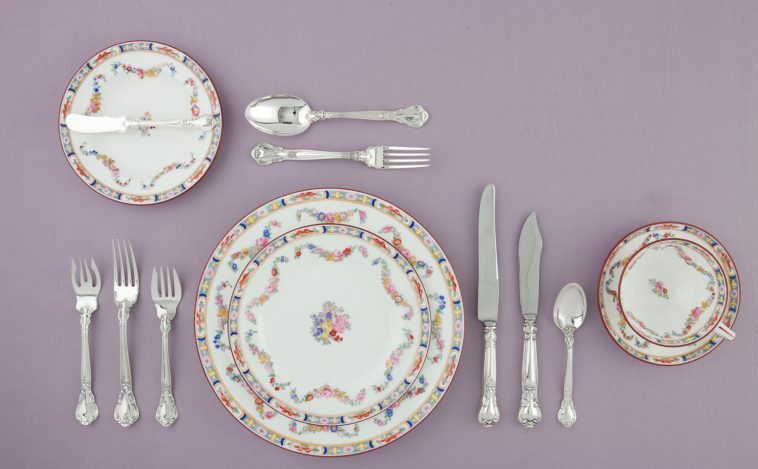 We began our etiquette series with several questions related to basic table manners. If there is one section of Southern Lady that has received more comments than any other, this is it! Even the men in our lives tell us they learned something from our last post on the proper handling of the napkin. Apparently as a result, the new questions we received also pertain to the table: the proper table setting. We hope you find them informative, as well as a reminder that first impressions are lasting ones. Q: Could you please tell me the difference between a charger and a service plate? A: A charger, also called a place plate, is placed on the table before guests are seated. The standard size for a charger is 12 inches, and it is placed 1 inch from the edge of the table with the motif facing the diner. The dinner plate is placed on top of the charger. A service plate, also called a liner, is used under soup cups or bowls and under dessert bowls. A service plate is smaller than a charger and has no standard size. Q: I have been to restaurants and hotels where I have seen people remove the centerpiece from the table in order to better converse with people across the table from them. Is this appropriate? A: I am amazed that people who decorate tables do not know the No. 1 rule for centerpieces: These should never obstruct the view of guests. The length of a centerpiece usually is not a problem, but the height can become one when it blocks the view of those seated across the table. It is very inappropriate to place a tall arrangement or plant in the center of the table. When I have found myself in this situation, I simply ask the waiter to remove the centerpiece, and he is usually happy to do so. When dinner is in a home, however, it is not appropriate for a guest to remove or adjust the position of the centerpiece, so you will just have to cope with the situation. Q: I am left-handed, and I find that having the stemware on the right makes it very awkward for me to use. Is it rude to move the glasses to the left of my plate? A: It is better to use your right hand for the stemware. Moving your glass to the left will cause a problem for the person on your left. If possible, left-handed people should sit at the end of the table to avoid obvious collisions. I have two left-handed sons who would always move the glass to the left at home, but they had to learn how to use stemware on the right when dining away from home. Need another recipe on your Thanksgiving menu? 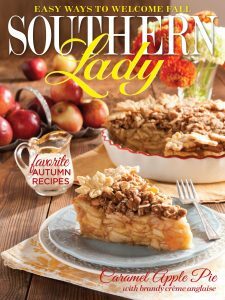 Look to Southern Lady’s September 2017 issue for wonderful fall recipes. This is a wonderful article!!! What a lovely china setting! Would you explain each piece of silverware and its use? I don’t recognize a couple of pieces. I discovered Southern Lady magazine when we moved to Tennessee from Texas in 2000. I fell in love with the magazine and still read it today. If I see a Hoffman Media magazine on the shelf, I know it’s a good one. Thank you for providing a magazine that inspires us to live elegantly! Happy Thanksgiving …..all….however you celebrate the day, hope it’s with friends and family! Thank you for the etiquette tips. I was one of four daughters and our mother had worked for a very prominent family who entertained with formal dinner parties in her younger years. I have always been grateful that she taught us such etiquette and how to set and serve properly. I feel that the younger generation are often lax in this knowledge today since we have become so casual in most social situations, even in dress code etc. I have this to be thankful for. Wishing you a blessed holiday. I love your dishes!!! Beautiful!! These are some wonderful tips! Setting the table here at FrenchGardenHouse is all about the fun and beauty, and using antiques, of course, but knowing the rules is a great basis for any “how to.” Happy Thanksgiving to you and your family, both your actual family and your Hoffman Media family, Phyllis. When I count the blessings God provides for me, your beautiful publications, which always bring me such inspiration and joy, are amongst them!